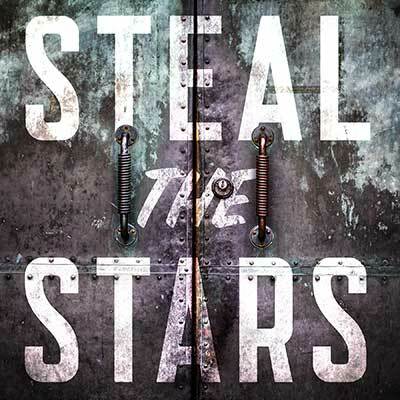 Today I listened to the final instalment of a podcast drama called Steal the Stars, and let me tell you, it’s a breathtaking ride. Steal the Stars is a full-cast audio drama in fourteen parts, produced by Tor Labs, written by Mac Rogers, directed by Jordana Williams and starring Ashlie Atkinson as Security Chief Dakota Prentiss. It’s about a secret quasi-military operation to secure and study a crashed alien spacecraft and its pilot, a dead-or-dying grey alien they call Moss. As you can tell from that brief premise, the story is overtly science fiction. But the real drama emerges almost entirely from human concerns – greed, duty, ambition, friendship, loyalty and above all love. And the drama is superb. The intriguing mystery at the start of the story distract you from the real work of the piece, which is to ramp up the tension on the lead characters to an almost unbearable level, and then drop one brutal twist after another on their shoulders. Several times listening to this story I shouted something unmentionable at some shocking betrayal or unexpected left turn in the plot. I was so anxious for how things were going to turn out, I almost couldn’t listen to the final episode. (I’m glad I did though. It sticks the landing, answering a bunch of questions you could be forgiven for forgetting the story had already asked). The acting is top notch, the pacing is superb, and the production values in general are better than they need to be. The episodes are a comfortable 20 minutes, broken into ten-minute halves (the last couple of episodes are longer, but by then you’ll be addicted and you won’t notice or care) so it’s a convenient listen. Basically Steal the Stars is just about perfect radio drama and you need it in your ears. And now the whole story is out there, so you don’t even have to wait. This entry was posted in Relentless positivity and tagged ashlie atkinson, jordana williams, mac rogers, steal the stars. Bookmark the permalink.